Let me tell you guys… I really wish this month I was able to transport the smell of this box to wherever you are at because it smells AMAZING. There are so many great smelling products in this box. 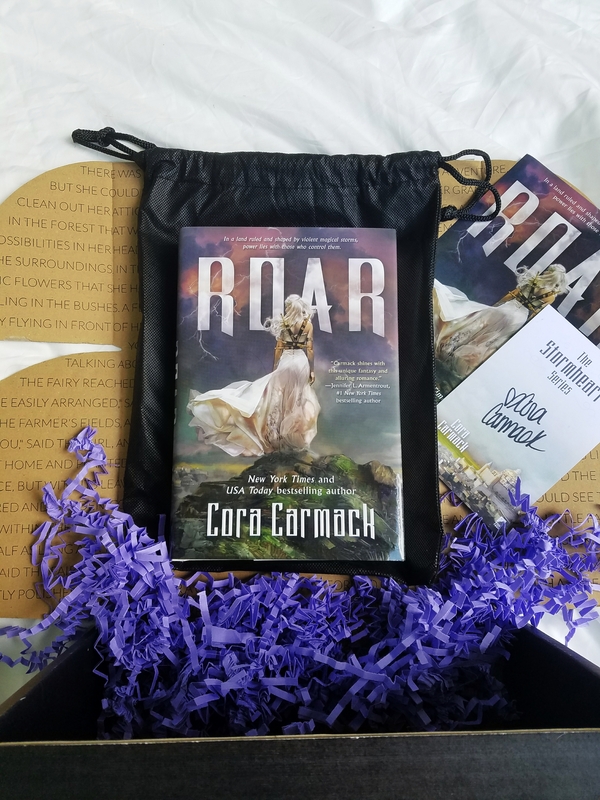 The book this month is called Roar by Cora Carmack. This is one of the reasons that I love doing book subscriptions boxes, I don’t think I would normally grab this book off the shelf and check it out. After reading the synopsis, I’m so excited to get into this book. 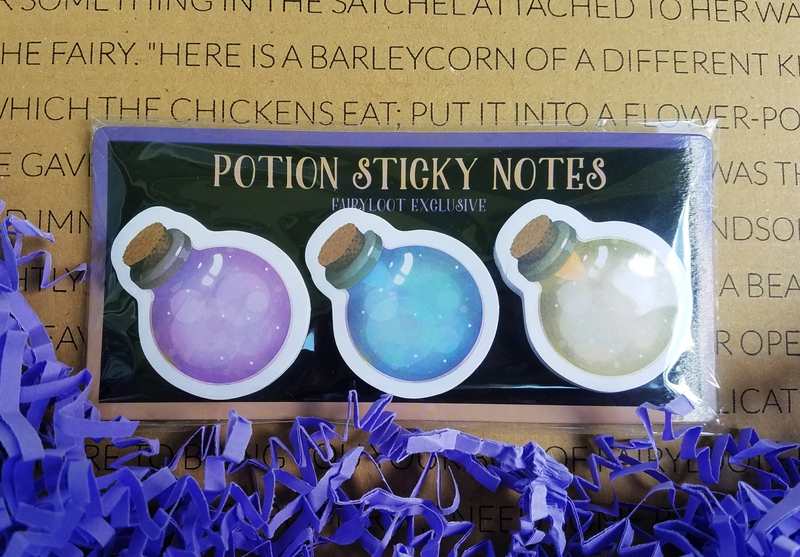 We almost always get some sort of sample or cute stationary that goes along with another book series. 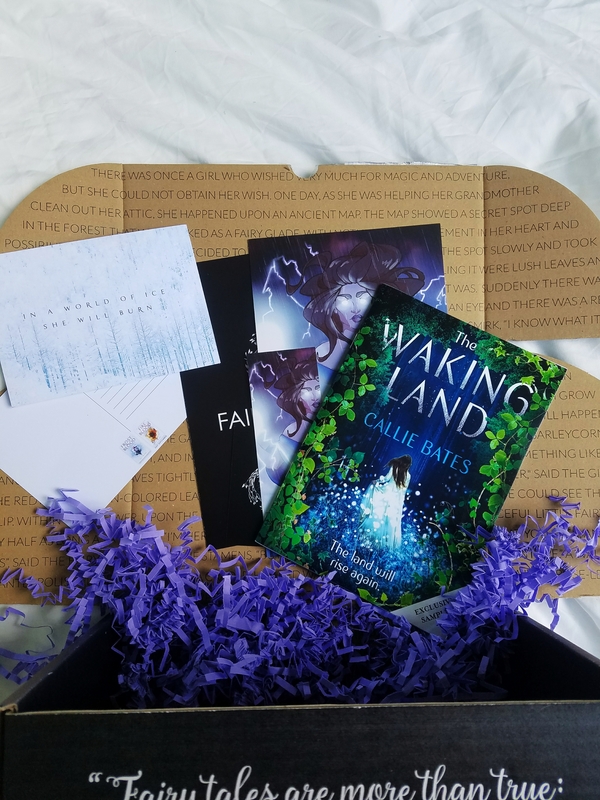 This month, we got a sampler of The Walking Land by Callie Bates and also some postcards that go along with the Frostblood novel. This is one of the main reasons this box smells so damn good. I have already used this soap and I love it. 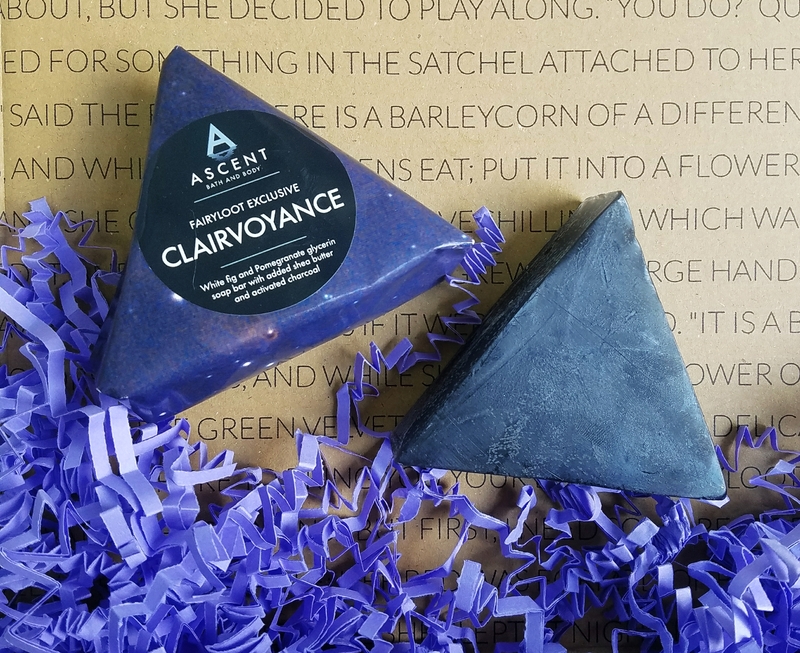 This soap bar is made by Ascent and the white fig and pomegranate smell is seriously my all-time favorite. This bracelet is to die for. 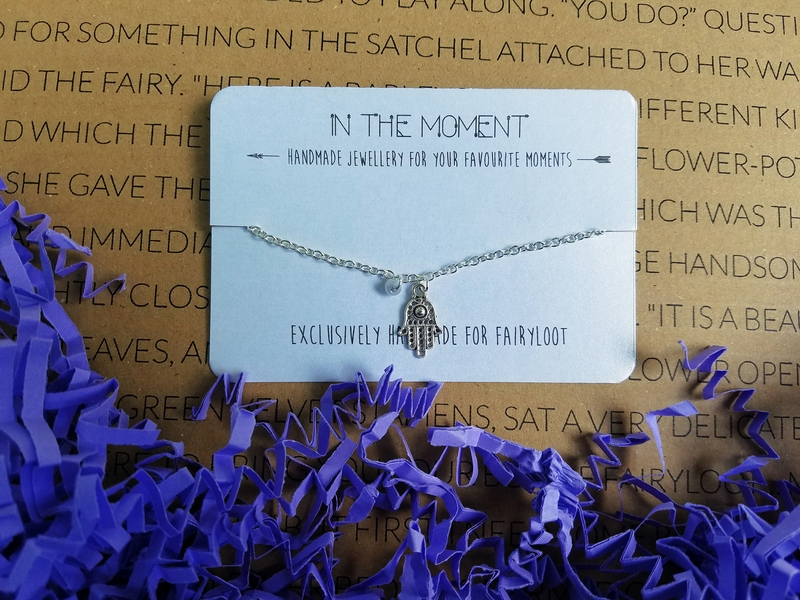 I love the hamsa hand and love everything that it represents to the wearer. The company that made this, In The Moment has so many other beautiful items! I love these adorable sticky notes. I’m so excited to use them and want to find more of them! 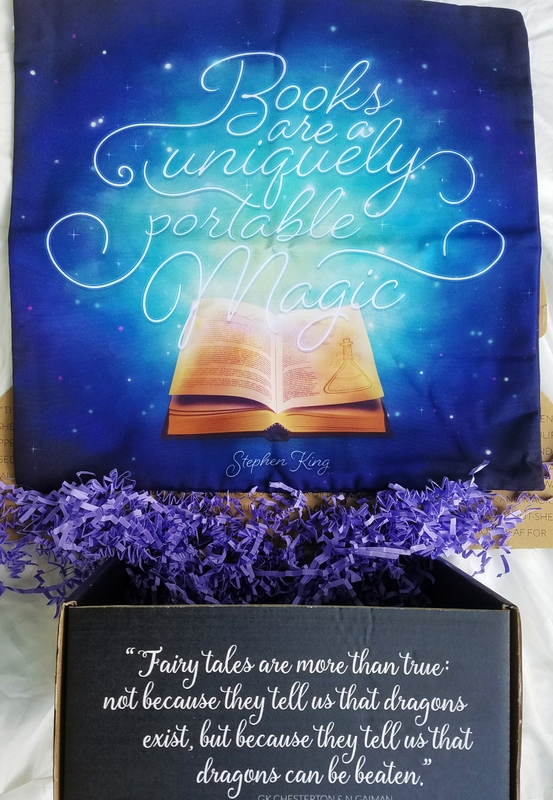 These were made exclusively for FairyLoot so there’s no link for this one. This lip balm smells so good. Geeky Clean came up with a different scent for each element and every box received a random one. 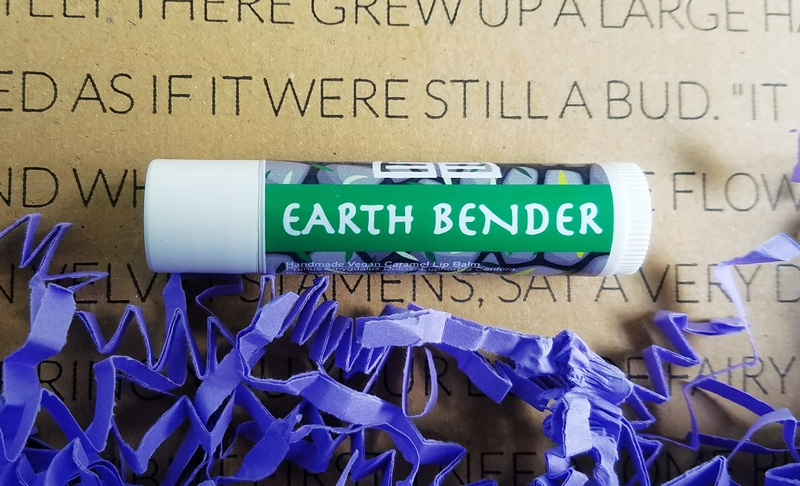 I received the “Earth Bender” which smells like caramel. I LOVE PILLOWS. Did I mention that pillows are one of my favorite things ever? This pillowcase is beautiful and I love the quote. It’s already found it’s way onto a pillow and into the library and I’m so happy with it. Miss Phi is the creator of this design and I just love her work, I mean just look at all of it. Candles are my favorite and I’ve had a lot of them throughout my life and I have never had a single candle like this. I mean, look at it, there is so much going on and I can’t wait to see what it is like when it burns. 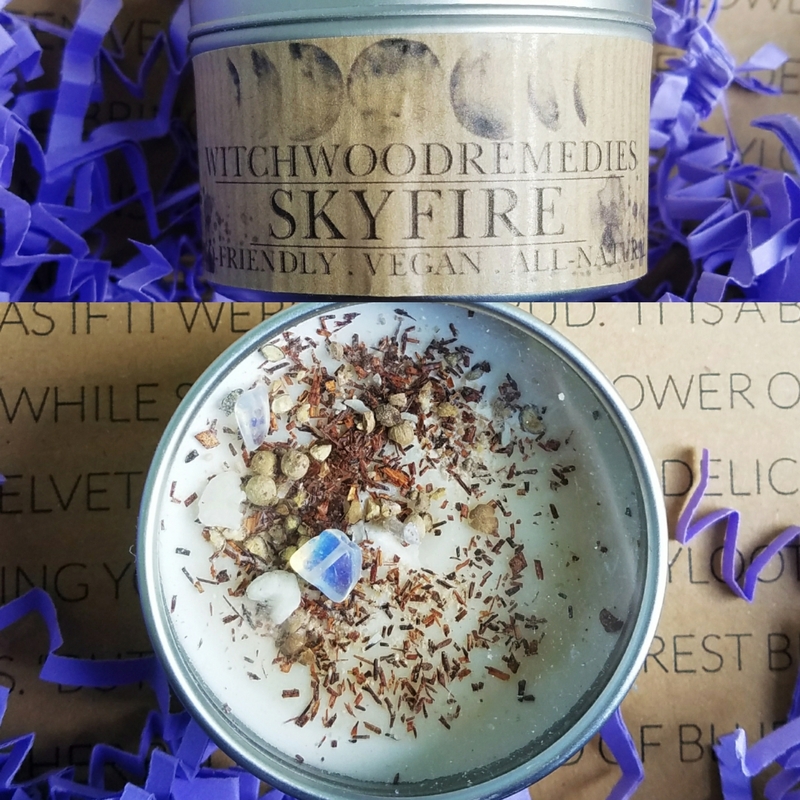 Witchwood Remedies has amazing products and I definitely look forward to getting more products from them! 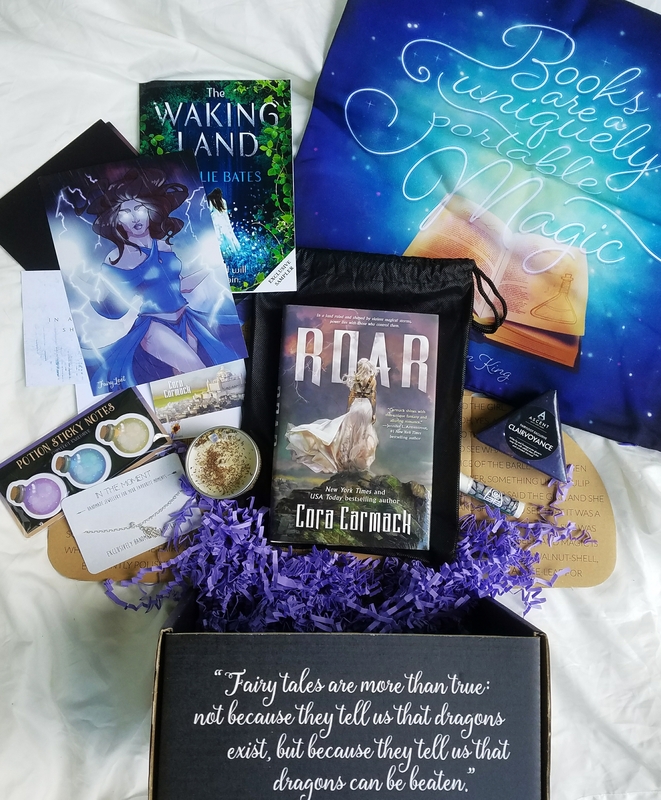 I loved Roar and I think you will like it too. Loved the box and the post. What fun!